No question who spends his vacation with us, must love the mountains! For mountaineering and climbing in the Dolomites you are with us in Klausen at the first address. Our region is so popular among mountaineers, because you can go to a new track every day and will not have seen everything at the end of your holiday. And also a climbing holiday in the Dolomites is the benchmark for many climbers. Direct to Klausen you can complete 8 mountaineering and alpine tours. Among them the Kassianspitze (2,581 m) in the Sarntal Alps west of the Eisack, the highest Sanctuary in Europe, on the Hufeisentour or in the Scholderer Schleife, which are considered very demanding. Likewise, you can explore in mountain boots the Seiser Alm east of the Eisack and find there also family-friendly tours. 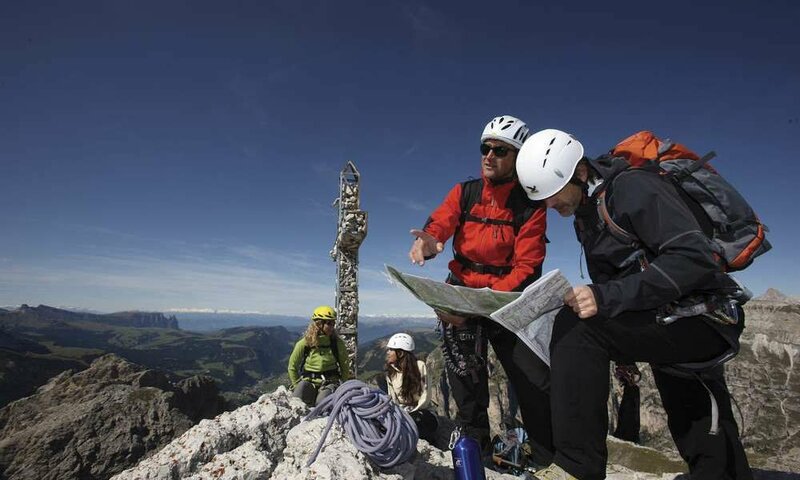 No matter what difficulty in mountaineering you choose – here you will find the right tour. 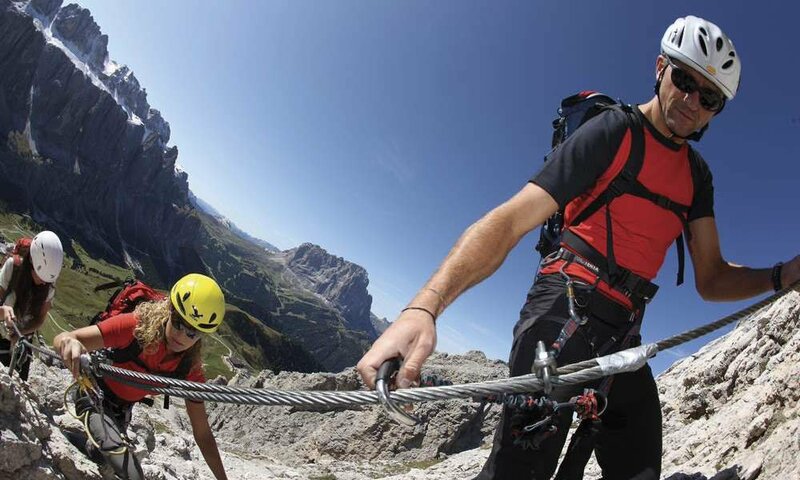 If you want to go climbing, then during a climbing holiday in the Dolomites you will find spectacular cliffs and climbing walls in the famous Dolomite massifs. Starting from Klausen you can venture into Ridnaun valley or Wipptal and test your climbing skills. There are also exciting climbing areas in our region like the dream pillars in Gröden or the Stone Town at the bottom of the Langkofel.